Visit our apple orchards and pick your own apples! Enjoy a variety of healthy and delicious apples that are locally-grown. You must check in at our farm market prior to picking. Apples are priced by the pound. This year’s theme corn maze theme is “Brighten Someone’s Day!” Donaldson Farms is pleased to share that $1 from every entry into our corn maze this season will be donated to Tomorrows Children’s Fund! Our family and staff have selected this caring and encouraging organization as the inspiration of this year’s theme in honor and support of so many friends and local families that have had their children hospitalized, in treatment and battling many illnesses. We are so excited to announce that Anya L. of Chester, NJ is our 2018 Corn Maze Design Contest winner! This Fall season her inspiring artwork will be incorporated into our nine acre corn maze which will spotlight the importance of ‘Tomorrows Children’s Fund’ (TCF). Sign up now for Farm Camp! A unique, educational and fun-filled week of fresh air on the farm for children six years old and up! This year, Donaldson Farms will offer TWO engaging Farm Camp Programs: Little Farmers (children ages 5 – 10 yrs old) and Farm Camp Extreme (children ages 11 yrs and up). Farm Camp is an opportunity for your child to experience what it is like on a daily basis at Donaldson Farms. Your children will make new friends, observe and participate in planting and harvesting activities, learn how to care for our farm animals, create arts and crafts projects, enjoy healthy eating and living lessons, participate in cooking lessons, sample freshly picked fruits and vegetables and of course play great summer games! Every season our guests ask “What is your corn maze design going to be this year?” This season, our theme is “Brighten Someone’s Day” and YOU could be the one to design it! 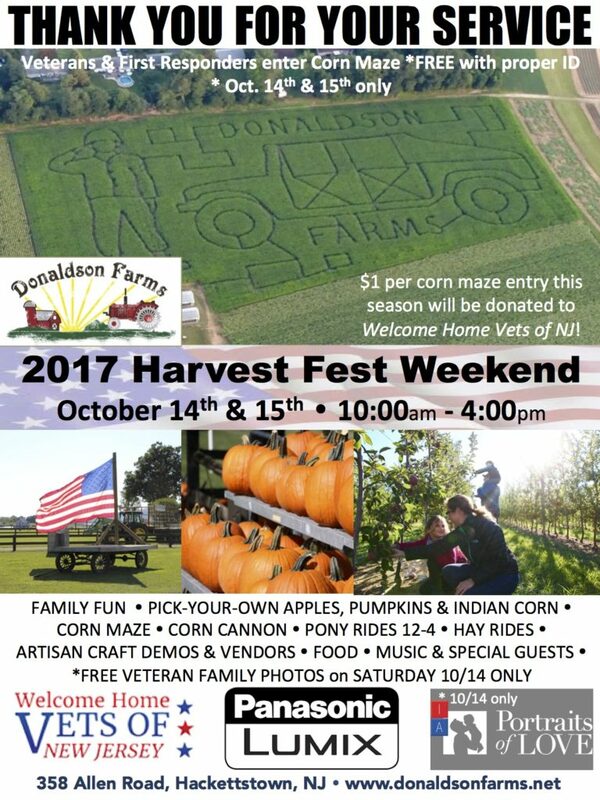 Donaldson Farms is pleased to share that $1 from every entry into our corn maze this season will be donated to Tomorrows Children’s Fund! Our family and staff have selected this caring and encouraging organization as the inspiration of this year’s theme in honor and support of so many friends and local families that have had their children hospitalized, in treatment and battling many illnesses. Design our 2018 corn maze! Get your creative caps on, think about how Tomorrows Children’s Fund helps our community and draw what you feel would brighten someone’s day. If there is someone special who inspires your drawing then feel free to tell us about them – there is an area for this on the entry form (not required). Artwork from the winning entry will be featured in our 2018 nine-acre corn maze! Winner will also receive a Fall Fun Farm Prize Pack – goodies from our farm market for you to enjoy a special visit to our farm! Must be 17 years of age and under to enter. All entries must be submitted on our official Corn Maze Design Contest entry form. Deadline: All entries must be received – or postmarked if using US Mail – by 6:00 pm on Sunday, May 20th, 2018. By entering you understand that the original design may be altered and edited for corn maze design purposes and that the artwork itself will be shared and promoted in conjunction with our 2018 Fall season farm marketing campaign. Winning Corn Maze Design will be selected by Donaldson Farms Family and staff. Winner will be notified on or shortly after May 30th, 2018. Want to help out Tomorrows Children’s Fund? Donaldson Farms farm market will accept the following new items to be donated to TCF from 8:00 am – 5:00 pm on Saturday, October 13th and Sunday, October 14th only. Please keep in mind TCF supports patients from newborns to 22 years of age. No stuffed animals, please. TCF cannot accept stuffed animals. We will not accept used items. Thank you for your support! April 29 – Come join the fun of a walk-a-thon and family fun day, while helping raise money for the Special Olympics New Jersey Area 3 – Morris, Sussex, & Warren. 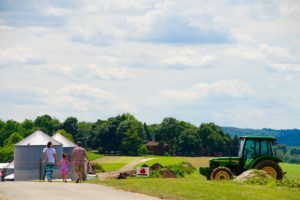 The day will begin with an energizing walk around scenic Donaldson Farms and continue with activities for people of all ages to participate in on the farm. Rain or Shine! This event is presented by the students of Centenary University’s Event Administration Class and hosted by Donaldson Farms. **2:30pm – Centenary Univ. President, David Haney & Lisa Baldwin Performance! **3:15pm – Hackettstown K9 Unit Demonstration! – Sauced & Rubbed BBQ! Registration for the walk-a-thon includes participation in the walk-a-thon and family fun day activities (Pony rides, hayrides included. Laser tag and food are not included). Participants ages 5 – 12 cost $10. Children under 4 are free to participate in the walk-a-thon. Special Olympics Athletes cost $5 and must register the day of wearing a uniform or by bringing a medal. Participants can pre-register online or register in person on the day of event. To pre-register for the walk head to https://alumni2.centenaryuniversity.edu/2018AwesomeAthletes. There is no entry fee for the family fun day activities. Each activity priced individually and can be paid for the day of with cash only. Food will be available for purchase at an additional cost for all participants of the walk-a-thon and family fun day activities. Awesome Athletes Walk-a-Thon and Family Fun Day will take place rain or shine! Plan your next field trip and bring your class or group for an educational, fun, and unforgettable day on a modern, family owned and operated, 500+ acre working produce farm. We can tailor any program to your goals for your students or group, and make sure you have a fantastic time meeting those goals as well! Tours can be customized based on grade and age level. Each tour may include a planting project that everyone takes home, an educational lesson, an interactive tractor hayride tour of the farm, time with our farm animals, and a tasty snack! No visit is the same! Please call (908) 852-9122 x 2 or send an email to events@donaldsonfarms.net for more information or to reserve your desired date and time. We promise to create a farm experience that your group will remember for many years to come! Do you have a special event coming up? Donaldson Farms is the perfect venue for an array of private parties; anniversaries, milestone surprise parties, family reunions, baby showers and more! Contact us and tell us what you are looking for and we’ll help you create an event that your guests will remember for years to come. Join us for this special weekend (Saturday, 10/14 and Sunday 10/15 from 10AM to 4PM) as we honor veterans, active military personnel, and first responders (police officers, firefighters, and EMTs)! Every October weekend at Donaldson Farms is fun-filled, but our Harvest Fest Weekend is extra-special and packed with all the quintessential autumn actives you can expect from a fall festival PLUS special guests, vendors, live music and more. We’ll honor our Veterans and active members of the U.S. Military in special ways throughout the weekend and provide opportunities for you to give back to the men and women who give their lives for our safety and freedom every day! During both days of this special weekend veterans, active military personnel, and first responders with proper ID get FREE entry into our military-themed, 9-acre corn maze! Also, $1 from each corn maze ticket this season will be donated to Welcome Home Vets of NJ! Who is your favorite member of the military? 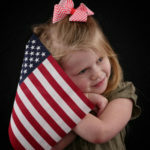 Treat them to a FREE ‘Portrait of Love’ family photography session on the farm Saturday, October 14th, 12-4pm! Donaldson Farms is proud to host this memory making event! 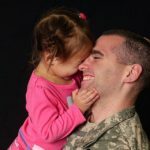 Professional photographers, Rick Gerrity (Panasonic Luminary) and Ulla Vinkman are offering military, active and retired, and their family a 15 minute mini session. Shutterfly will provide an exclusive code for you to access your photos for free. Click here to learn more and reserve your session soon – limited time slots available. Rain or Shine. Visit with local Fire & Police Departments and check out their special vehicles! Vendors: Harvey’s Revenge Hot Sauce, Rolling Hills Garlic Vinegar, Words on Pallet Wood, Twoyoungdesigns, Cobble Creek Mining Company, Sweet Escape Confections, Handmade Greeting Cards, A Bobbin’ and A Weavin’, and more! Put on your comfortable walking shoes and venture into our corn maze! This year’s design is a “Salute to our Military.” Join us as we celebrate those who serve. $1 from every corn maze ticket purchased this season will benefit Welcome Home Vets of NJ! The Corn Maze is open September 23rd through October 31st Monday – Saturday 8:00 a.m. – 7:00 p.m. and Sunday 8:00 a.m. – 6:00 p.m. (weather permitting).